After several variants on the Nina perfume from 2006, we can expect yet another fragrance dedicated to young princesses, tickling our imagination with its fresh and rich composition. The name Nina L `Elixir promises a true" love potion â€œcomposed of red fruit and jasmine, refreshed with bright green Caipirinha lime. The trace of musk brings sensuality to the scent, which completes the entire composition, placed into a new red apple with silver leaves and stopper. This editionâ€™s perfumer is Olivier Crespi, while the advertising face of the perfume is Florrie Arnold, the new â€œenergyâ€� of the house. 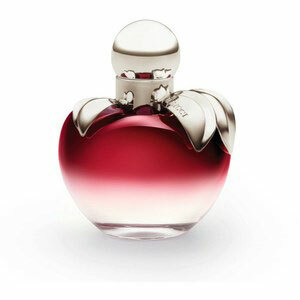 The perfume can be expected in August of 2010.